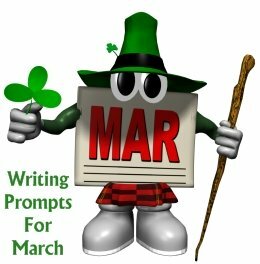 St. Patrick's Day and March Writing Prompts: Are you looking for a creative list of writing prompts and journal ideas to use during the month of March? 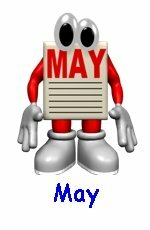 Below, you will find a list of general March writing topics and a list of specific calendar dates for March which contain creative writing ideas related to that particular date in March. 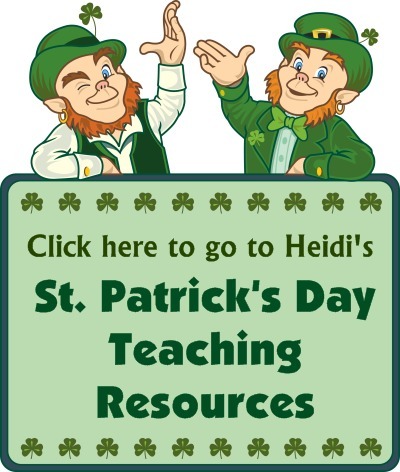 I have created this list of St. Patrick's Day and March writing prompts and ideas for elementary school teachers and students, but many of these creative writing ideas and topics would also be appropriate for other grade levels. 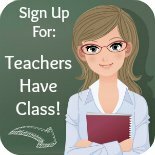 You will be directed to another page on Unique Teaching Resources that contains detailed lesson plan ideas and printable worksheets for those March writing prompts. 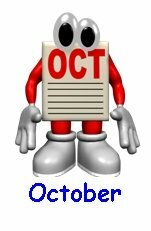 You will be directed to another website that contains useful information related to those particular March writing prompts. On the way to school you see a rainbow. When you touch it, you suddenly find yourself in a magical world. Describe this world and tell what you do there. 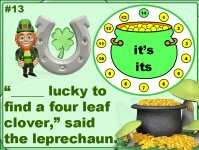 Do you have a special item (coin, favorite piece of clothing, keepsake, etc) that you consider to be a good luck charm?? 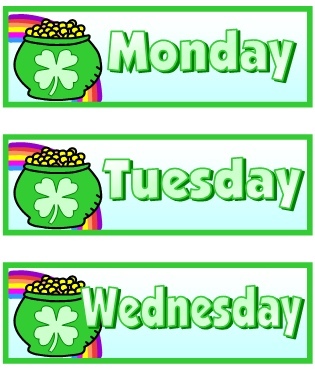 Do you have a favorite number that you feel is lucky for you? It is St. Patrick's Day and a Leprechaun visits your school. He is carrying a large sack filled with magical items. He opens the bag and gives you a magical item. What is it and what can it do? Tell what happens when you use it. 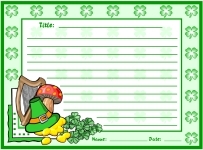 Write a limerick for St. Patrick's Day. Write a poem about a time that you were very lucky. 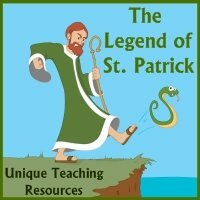 The legend of St. Patrick includes the story that St. Patrick drove the snakes out of Ireland. Have your students research this legend and write a poem about it using the simile snake templates shown below. 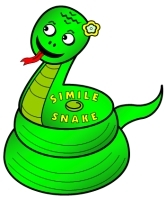 Write a poem that includes similes in it for St. Patrick's Day using these "Simile Snake" poetry templates. 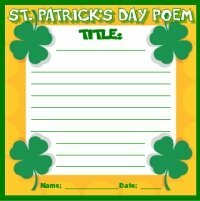 Click here to go to a website that provides information about A Fun Way to Teach Similes Using Poetry. For examples of similes to share with your students, this page contains a long list of similes: Examples of Similes. To combine March, spring, and green for St. Patrick's Day together, have your students write poems about caterpillars. Before completing this poetry assignment with your students, you could read them The Very Hungry Caterpillar by Eric Carle. 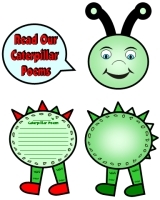 For this unique green poetry project, each students writes a poem in one section of the caterpillar. 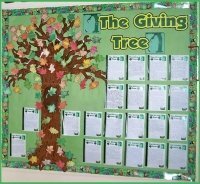 If you have 25 students in your classroom, you can create an extra long caterpillar poetry display that is over 15 feet with this unique set of poetry lesson plans. Planning a vacation to Ireland. 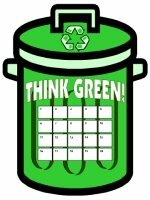 This St. Patrick's Day I will be green by reducing, reusing, and recycling. We should "Think Green" every day of the year! 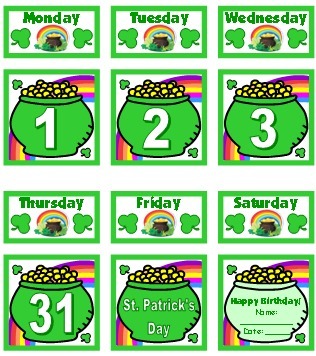 Encourage your students to "Think Green" and recycle this March by giving them a recycling sticker chart (example shown on the right). Student can use these recycling trash can sticker charts to record each time that they practice one of the 3Rs: Reduce, Reuse, and Recycle. 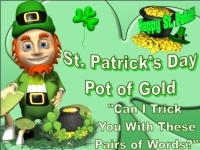 On St. Patrick's Day share everyone's favorite "green song" with your students: "It's Not Easy Being Green" by Kermit the Frog. It's not easy being ______ . Everything I touch turns green. 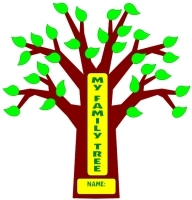 While students are "Thinking Green," have them complete a unique family tree project. This extra large family tree project measures over 18 inches in height and 13 inches in width after the trunk, branch, and leaves have been assembled together. 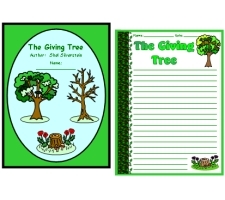 A great picture book to read to your students during this activity is The Giving Tree by Shel Silverstein. Many vegetables are green. List as many green vegetables as you can think of and how often you eat these vegetables. Name 5 things that are green and where you see them. 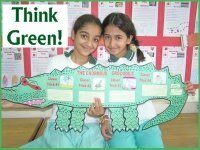 For a fun green project that will require a lot of green crayons, green coloring pencils, and green glitter this March, read your students "The Enormous Crocodile" by Roald Dahl. 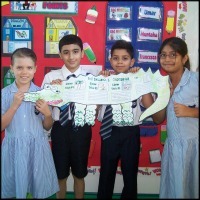 Then, assign your students a fun crocodile group project that they can complete together. 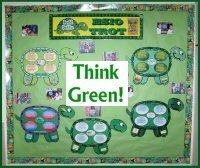 For an extra large eye catching green bulletin board display in your classroom this March, read your students "ESIO TROT" by Roald Dahl. 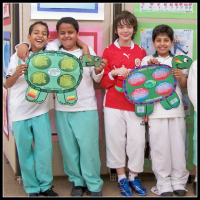 Your students will think that these turtle shaped group projects are a fun green activity to complete together. 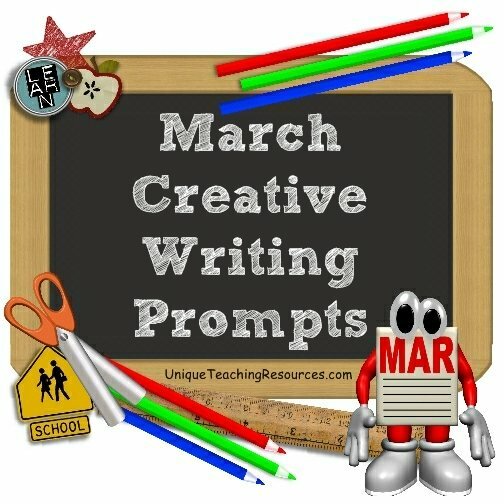 about each of these March writing prompts and holidays. 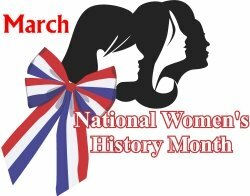 National Women's History Month in March highlights the extraordinary achievements of women throughout our history. It also recognizing the significant obstacles that women have had to overcome along their road to success. Women's History Month traces its beginnings to the first International Women's Day in 1911. The public celebration of women's history in the United States began in 1978 as Women's History Week in Sonoma County, California. In 1981, Senator Orrin Hatch of Utah and Representative Barbara Mikulski of Maryland co-sponsored a joint Congressional resolution proclaiming a national Women's History Week. In 1987, Congress expanded the celebration to a month, and March was declared Women's History Month. 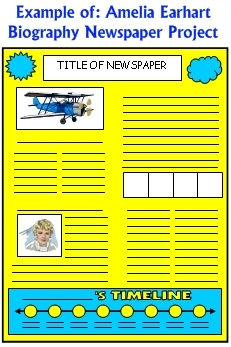 Click here to view lesson plans for a newspaper biography book report project (an example is shown on the right for an Amelia Earheart newspaper project). On Time For Kids Women's History Month students can read about milestones in women's history. Read biographies of women scientists, explorers, and pioneers on Kids National Geographic. 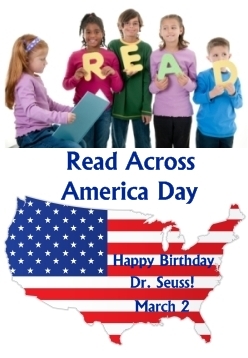 Read Across America Day is celebrated on March 2 and it is an annual reading motivation and awareness program that celebrates the importance of reading. 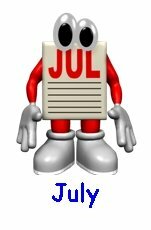 This date was chosen to coincide with the birthday of a famous children's author, Dr. Seuss. Theodor Geisel, better known as Dr. Seuss, was born on March 2, 1904 in Springfield, Massachusetts. Dr. Seuss is one of the most beloved children's book authors of all time. 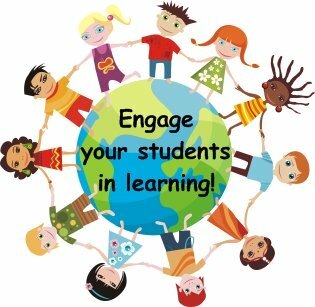 Write a letter to a younger student about why it is important to learn how to read. Reading Rockets has useful teaching resources that you can use to help you celebrate Read Across America Day with your students. 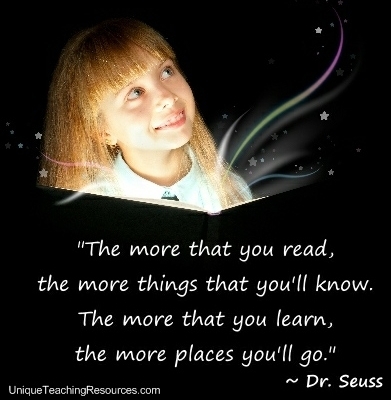 Are you looking for some famous Dr. Seuss quotes to share with your students for his birthday? Click on the link below to go to my Dr. Seuss quotes page and download free posters for your classroom like the one you see above. 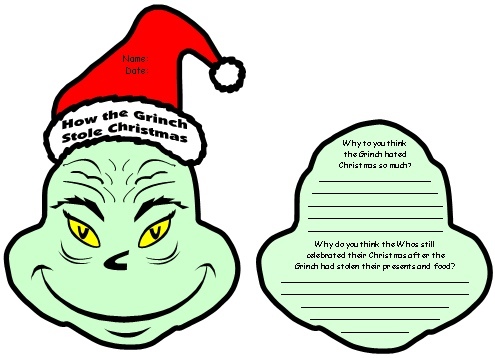 Seussville and Cat In The Hat are fun Dr. Seuss websites that your students will enjoy. 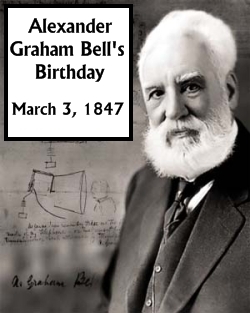 The inventor Alexander Graham Bell was born on March 3, 1847 in Edinburgh, Scotland. He is best known for his development of the telephone. Alexander Graham Bell's mother and wife were deaf, and this influenced his life's work. His research on hearing and speech led him to experiment with hearing devices. Alexander Graham Bell was awarded the first U.S. patent for the telephone in 1876. Describe three ways that life would be different if telephones had never been invented. 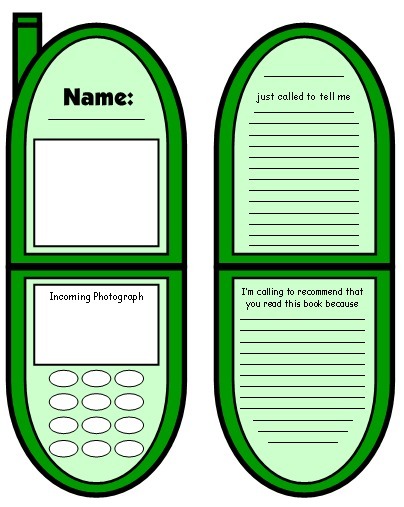 Write a letter to Alexander Graham Bell and describe the features of today's cell phones. What do you think our telephones will be like in 20 years? Design a phone of the future and describe the features of the phone that you designed. Visit Wikipedia's Alexander Graham Bell page to learn more about this inventor. On Biography.com Alexander Graham Bell page students can learn more about Bell, as well as watch a video about this famous inventor. 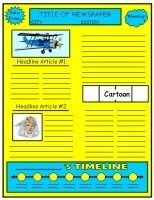 to create a unique 2 sided book report project. John Chapman, better known as Johnny Appleseed, was born on September 26, 1774 in Massachusetts. 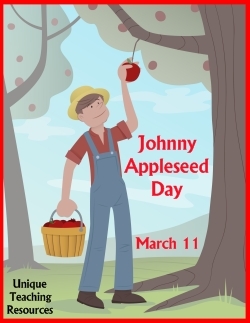 Johnny Appleseed Day is celebrated on March 11. Johnny Appleseed was an American pioneer and is best known for roaming the countryside planting apple seeds from which many apple orchards are said to have begun. John Chapman was raised on a small farm on Massachusetts. His favorite place was his father's apple orchard because he loved apples and this inspired him to introduce and plant apple seeds through the frontiers of Ohio, Indiana, and Illinois. 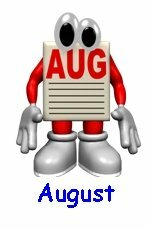 Johnny Appleseed Day is sometimes celebrated on September 26, which is acknowledged as his birthdate. The March 11 date is usually preferred because it is during planting season. 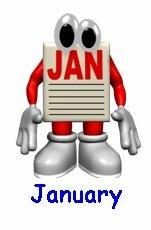 The March 11 date is believed to have been selected because Johnny Appleseed died on March 11, 1845 according to many accounts. Wikipedia's Johnny Appleseed page lists March 18, 1845 as the date of his death. As your students are writing their prompts, bring in an apple for each student to eat. "An apple a day keeps the doctor away." What do you think this popular saying means? If you could choose the seeds from one fruit or vegetable to carry around and plant, which one would you choose? Give reasons for your choice and where you would plant these seeds. Visit Wikipedia's Johnny Appleseed page to learn more about this American pioneer. I have designed apple shaped creative writing templates (shown below) that would be great to use for a writing assignment about Johnny Appleseed. 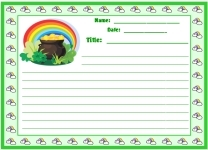 Click here to go to Heidi's apple writing templates page. 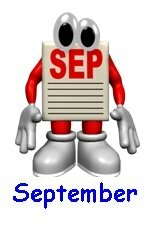 Johnny Appleseed Day is a perfect day to begin using reading incentive charts with your students. 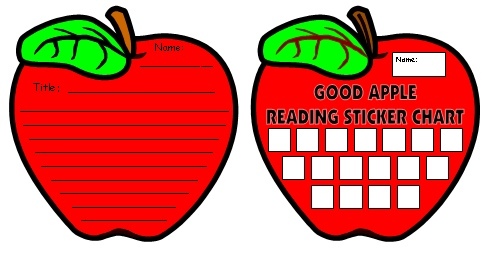 My good apple sticker charts (shown below) will help you to motivate your students to read 17 books in the time period that you select. 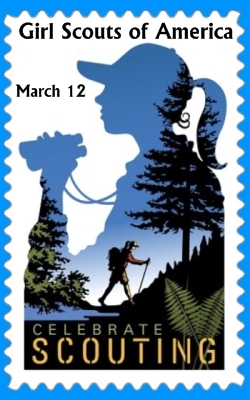 Girl Scout Day is celebrated on March 12. The Girl Scouts was founded in 1912 by Juliette Gordon Low in Savannah, Georgia. The Girl Scouts aim to empower girls and develop qualities in them that will serve them all their lives. The goal of this youth organization for girls is to teach values such as honesty, fairness, courage, compassion, character, sisterhood, confidence, and citizenship through activities that include camping and community service. The Girl Scouts organization welcomed girls with disabilities early in its history, at a time when they were not included in many other activities. There are now more than 3 million members of the Girl Scouts. The Girls Scouts are well known for selling cookies as one of their fundraising activities: "Every Cookie Has a Mission: To Help Girls Do Great Things." Go to Meet the Girl Scout Cookies to find out more about this program. Visit Wikipedia's Girls Scouts of America page to learn more about this organization. On Girl Scouts of America page, students can learn more about becoming a girl scout. 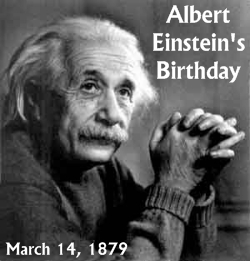 The scientist Albert Einstein was born on March 14, 1879 in Germany. At an early age, Einstein showed a great interest in math and science. He built models and mechanical devices for fun and began to show a talent for mathematics. Einstein is widely regarded as one of the most influential and best known scientists and intellectuals of all time. He is often regarded as the father of modern physics. Einstein received the Nobel Prize in Physics in 1921. How and why is math important to everyday life and jobs? 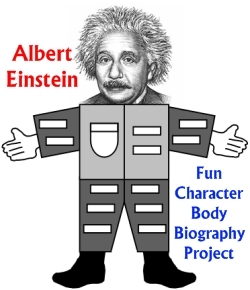 Design a character body biography project about Albert Einstein that highlights his achievements as a scientist. 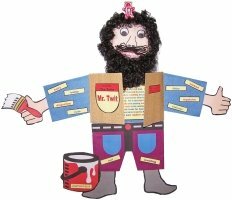 For ideas and lesson plans for a fun biography project, please see this page on my website: Character Body Book Report Projects. Visit Wikipedia's Albert Einstein page to learn more about this famous scientist. 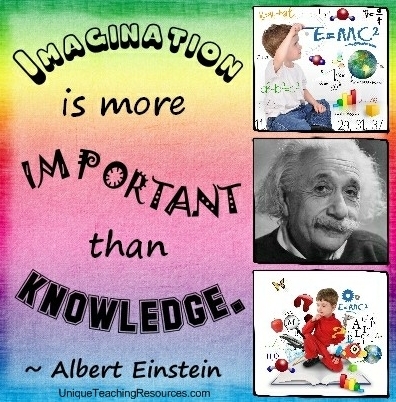 Are you looking for some famous Albert Einstein quotes to share with your students for his birthday? I have created a list of 50+ Albert Einstein quotes, along with many free posters that you can download and print to display in your classroom on the following page: Albert Einstein quotes. Click on the link below to go to my Albert Einstein quotes page and download free posters for your classroom like the one you see above. 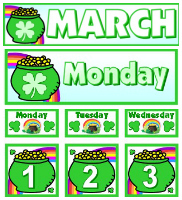 March teaching resources classroom display set. 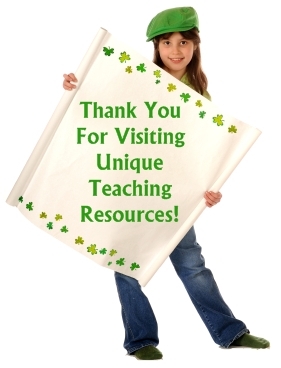 that are available on Unique Teaching Resources. 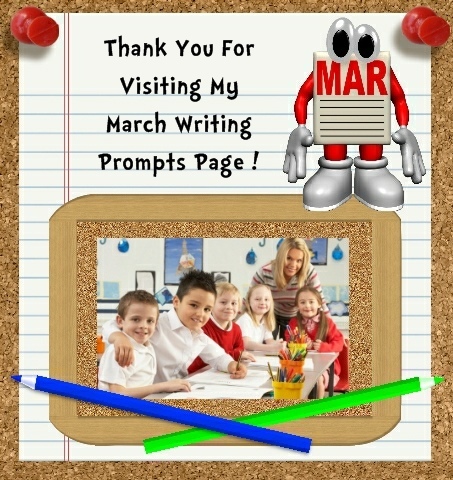 Thank you for visiting my March writing prompts page.